I have wanted to start seeds since beginning to garden oh so many years ago. I’ve made a few lame attempts that ended in failure or, more often, I just don’t get around to it early enough. I also have never had a dedicated shelf area for starting the seeds and of course I’m all about self-sufficiency and didn’t feel I should purchase shelves when I have the tools, materials, and know-how to do it myself. Under much scrutiny from those around me who know I’m capable of shelves myself, I took a get-‘er-done attitude and bought an Ikea shelving unit (I’ve never been to Ikea and, had someone told me what the Ikea experience was going to be like, I may have opted for making my own. I mean, some guy almost sat on my head while I was there and he didn’t even think it was funny.). The shelves still required some sanding and several coats of canary safe finish with Land Ark Wood Finish. They’re not beautiful but they’re useful and efficient and now hold trays of planted seed. Hopefully next year I’ll be able to purchase grow lights to aid in the process. It was a blessing to have my friend, Kim, in from Colorado to help start the seed. It was a wonderful way to spend an afternoon with a friend I hadn’t seen in several years. In two days a morning glory greeted my upon waking. 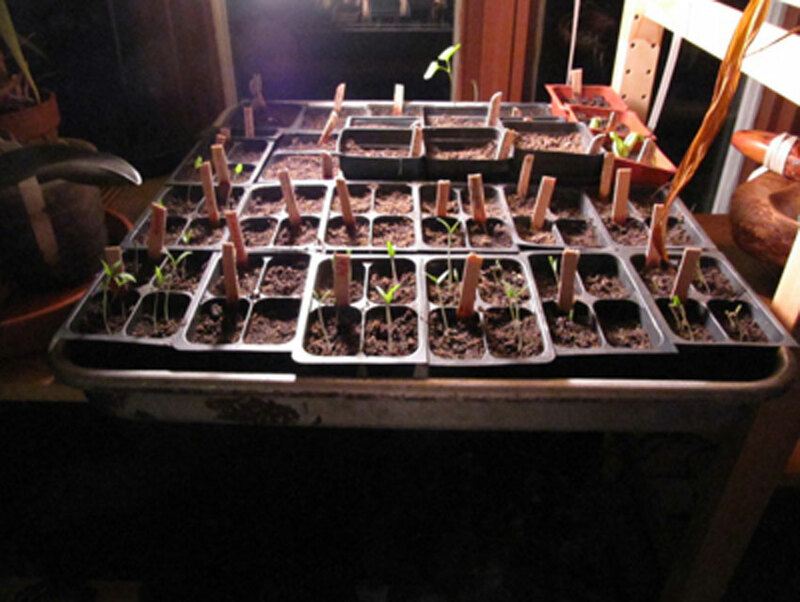 The bonus is that a week later, I arrived home one evening to find thirty sprouted tomato plants welcoming me home. Life just keeps getting better. 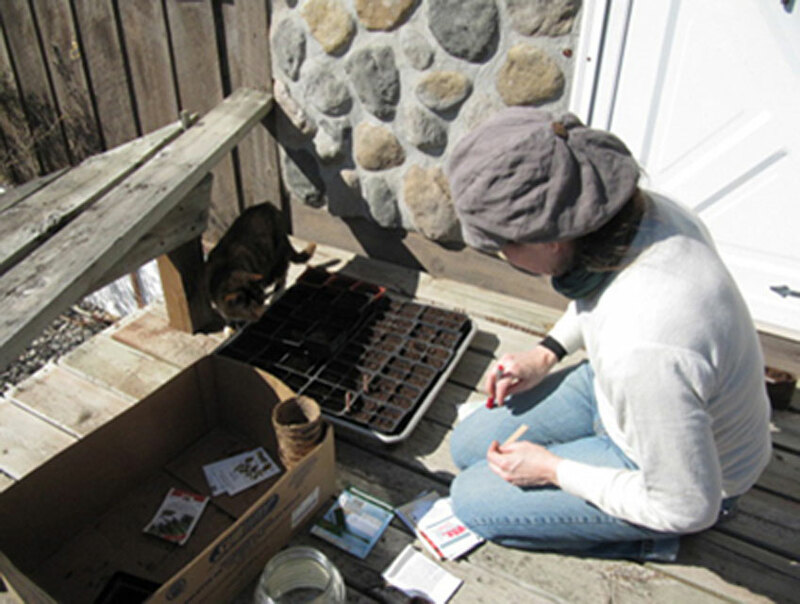 This entry was posted in Food, Green Living and tagged gardening, Plants, seed starting. Bookmark the permalink. How could we get anything done without a cat to help us? Without the supervision of the cat, all would be lost.